Black Dragon lowered from side. 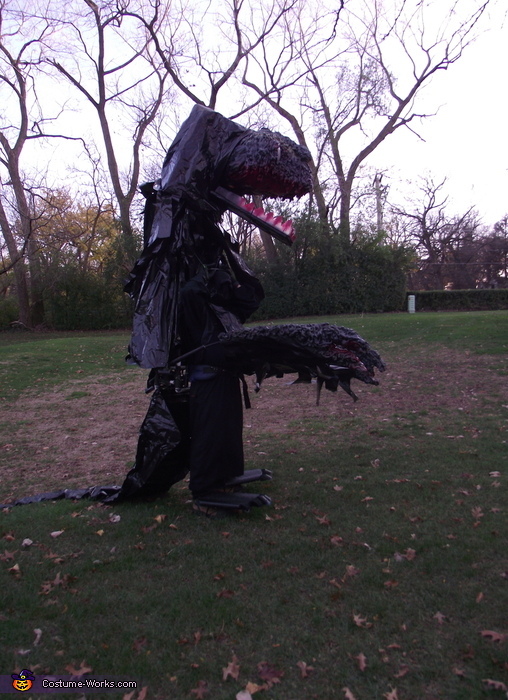 My 10' dragon costume has light-up eyes and mouth and then rises up to 13' 6" as it spreads its wings. It was inspired by the "Bear!" episode's Handyman Corner from Season 2 of The Red Green Show.